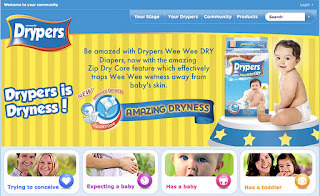 The 24-Hour Mommy: Join The Drypers Baby Club and Win Drypers Wee Wee Dry Diapers! 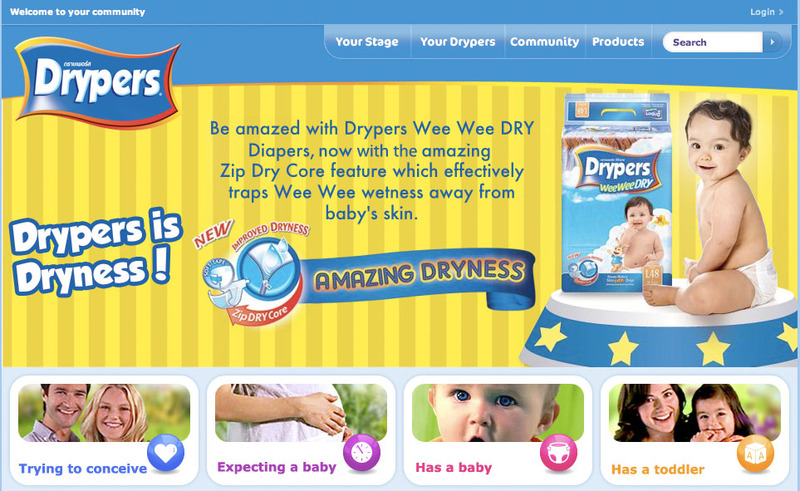 Join The Drypers Baby Club and Win Drypers Wee Wee Dry Diapers! I was only 22 years old when my boy was born. Though, I have already experienced caring for a baby when I was younger (I took care of my baby brother when I was 11), it's a totally different ball game when you're caring for your own child. Nothing could have prepared me for motherhood. There's just so many things to learn and consider! I had no one to count on but myself because we were already living on our own down South of Manila until my boy was six. Thankfully, I survived through occasional phone calls and visits to my parents, parenting books and magazines, and dial-up internet. Moms of today are more fortunate because they have so many parenting resources in their hands and most of these are over the internet. It's easier to exchange parenting notes with friends over social networking sites. Moms can also learn easier because of how-to-videos in video sharing sites. There are also websites dedicated in sharing vital information and advice to moms and even moms-to-be. One of these sites is the Drypers Wee Wee Dry website. The site is a gateway for the Drypers Baby Club where visitors can join. After signing up, you can personalize the content you receive based on the stage or timeline of your baby or toddler. It's the perfect venue for moms and expectant women to interact and exchange tips about parenting, pregnancy, and everything in between. It's very easy to sign up. 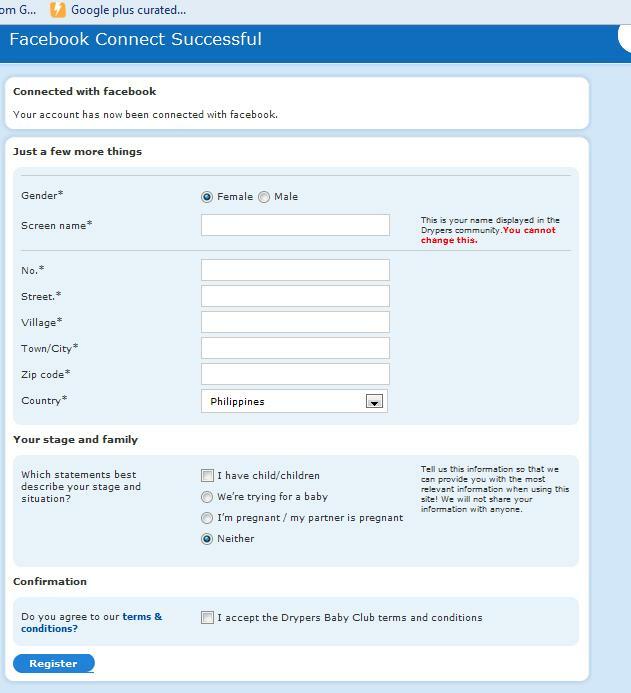 Personally, I would recommend choosing to connect your Facebook account to your Drypers Baby Club account. 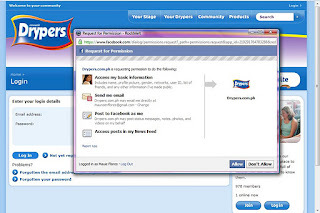 All you'll have to do is to click the LOGIN button at the right topmost corner of the homepage and choose LOGIN WITH FACEBOOK. 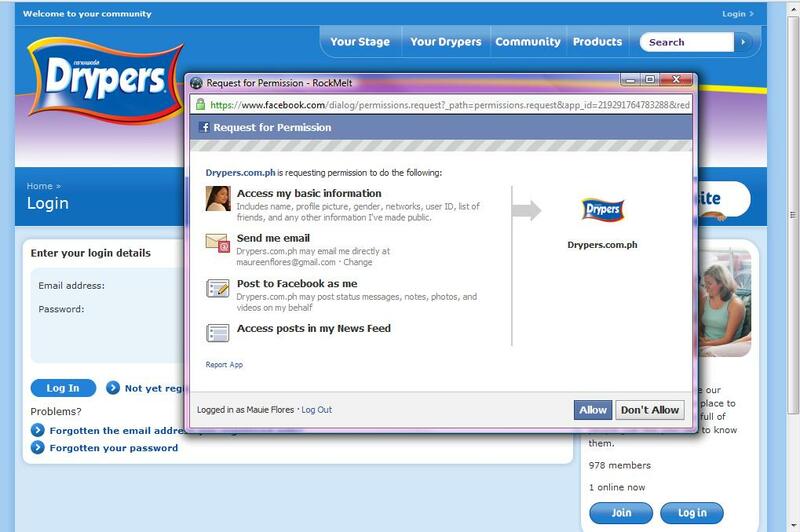 Next, you should ALLOW the Drypers.com.ph App to access your Facebook account. 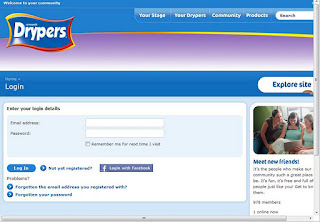 The next step would then be filling up your personal details before clicking the REGISTER button. Now, here's a special treat for you! Thanks to Drypers Wee Wee Dry, I will be raffling off Drypers Wee Wee Dry Jumbo packs to five (5) lucky Drypers Baby Club members who will connect with me in the site! 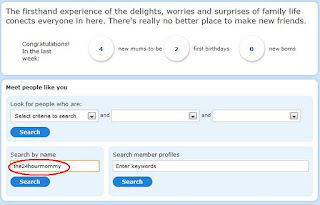 To add me up, you will only have to access your Drypers Baby Club profile and click EDIT FRIENDS. Next, you'll have to click PEOPLE SEARCH to be able to search for my profile. and click ADD TO FRIENDS once you're already on my profile page. You should also sign in my GUEST BOOK so that I can verify your entry more easily. After signing up and adding me, kindly leave a comment below answering the question I indicated in the Rafflecopter widget with your name and the email address you used in signing up for the Drypers Baby Club. The rest of the mechanics are in the Rafflecopter widget below. Good luck, everyone! Hope to make chika with you at the Drypers Baby Club soon! hi,cant find you there.when i type the the24hourmommy it says i have to enter a name. Well,im most excited about finding more friends and im excited to know different mommy stories!.....and share my own too..! Being a first time mum, I look forward to parenting tips that Drypers Baby Club has to offer. Hi, Glaiza! I would need your Drypers Baby Club username, too. Kindly send me a friend request as instructed so I can verify your membership. Hi, Edna. I would need the username and email address you used in joining Drypers Baby Club and also your baby's diaper size. Glad to see you over at the Drypers Baby Club! Naloka ako sa username mo! What are you most excited about the new Drypers Baby Club website? Getting a chance to interact with mommies like me and learn from them. I am also looking forward to the different activities and promos. I'm excited to learn more about raising children through the Drypers Baby Club website because it gives me a chance to interact with moms who are going through the same stage of child-rearing like me. 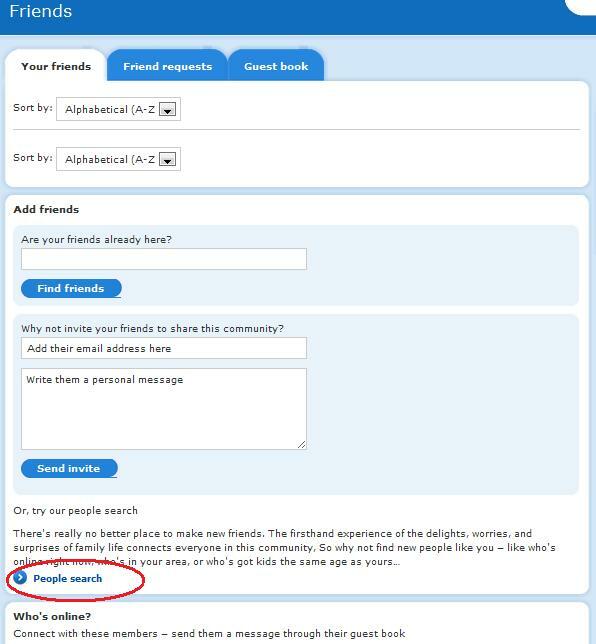 I can't search you po sa drypers club the search engine tell me always to please enter a name? I'm excited to share experiences of being a mommy and just simply making new friends. Sharing my ideas about being a mom, learning to other mom about their experience of being a parent. I added you up as a friend and left a comment as well at the drypers club site. my handle is kaydetbride, the same handle I use in twitter. Having the opportunity to interact and share ideas with other moms about our babies. So cool website. I am excited about participating in discussions, writing articles, making comments in forum to learn more about being mom . As a first time mother I need more parenting tips to other mom who have more experiences of being a good one to their kid(s). Its so exciting that I can post my experiences about being mom and I can make a scrapbook on how my child grows. Its a great opportunity for me to interact wit other moms and from them I can learn some things I didn't know. 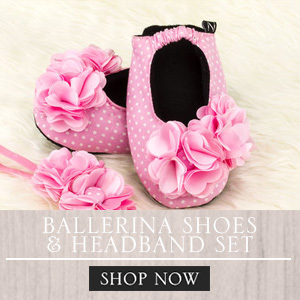 Interesting site for a mom like me. hi, sis. i wanted to add you as as a friend and join your contest but i cannot log in with my facebook account. can you help me? i'm so excited about communicating with other moms in the community to learn more about parenting and receiving freebies from Drypers. Being a working mom, i am so fortunate that this site has so many parenting tips, on how i will be able to be a better mom for my 3 kids..And it is also easier to have new friends, which are also moms like me.. thank you so much..
i'm excited about communicating with other moms in the community to learn more on parenting and it will be great to be updated on promos and freebies of Drypers. With this Drypers Baby clubs I will get the chance to know and interact with other mommies. Also I can share what I know all about baby stuff. 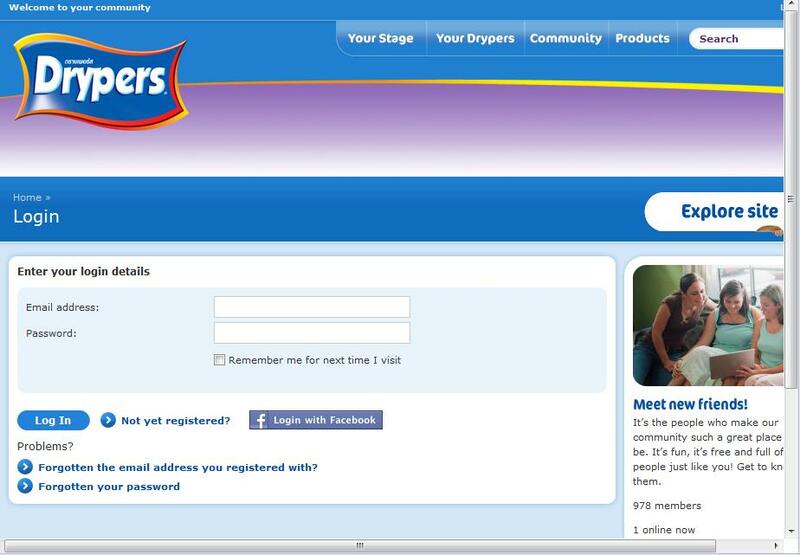 Im excited with the new baby drypers club website because a lot of lessons to learn about kids etc.. Please try again, Rachel. I think it's a bug in the Drypers website. Sometimes, I can't even search my other account in the database. But on other days, I can. May I know your Drypers Baby Club username, please? May I know your baby's diaper size? May I know your username, email address that you used to register, and your baby's diaper size please? Hi! May I know your Drypers Baby Club username so I can validate your entry? May I know your Drypers Baby Club username so I can validate your entry? May I know your Drypers Baby Club username? Kindly answer the question first before I can validate your entry. Thanks! Hi, Cheriel! Please answer the question first and also indicate the diaper size of your baby before I can validate your entry. Thanks! I love joining all about mommy and baby pages and website because it teach and help me a lot! I can also share it with my friends, relatives and love ones! I am excited to read other stories from other mommies that will add up to my knowledge on how to raise my kid. 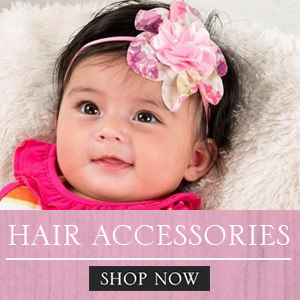 Its nice to have a Website that you could learn and nourish your knowledge in caring for your little one. a website that you can have friends and community that you can exchange story about motherhood. Its cool to have a baby club like Drypers Baby Club. Joining this club can get you some help in providing the right thing for your child also you can get free samples and be part of some promos and raffle that you can win prizes and other perks. It can also connect you to all your friends to other site like facebook. I join this site to share some thoughts about parenting, baby problems, and chat with mom's like me to share idea's about our babies. 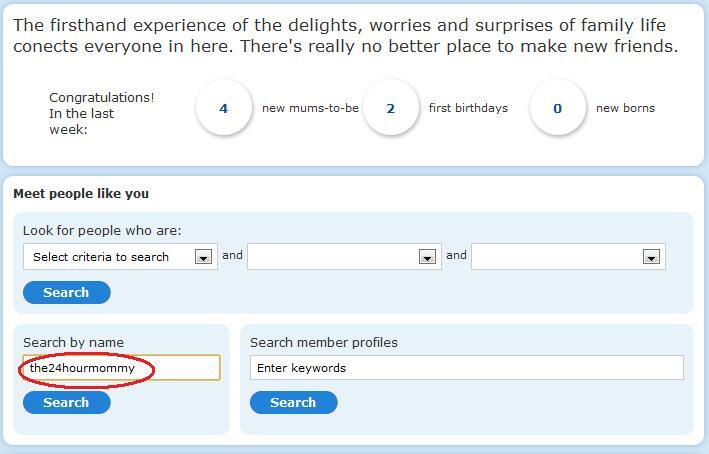 It's more than exciting to join in Drypers Baby Club website because it gives us infos about parenthood and motherhood. It gives us the opportunity to join in various discussions about any topics on how to raise our children fully well. Aside from that, we had the privilege to receive free samples of diapers and Gcs. Hi, Lida! Please supply your Drypers Baby Club username so I can validate your entry. I would also need your baby's diaper size. Thanks! I am glad about this newest mommy-baby website. 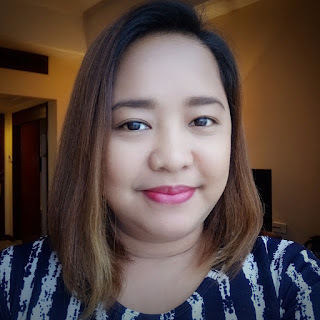 In here I would like to get acquainted with more moms like me wherein we can exchanges and share ideas all about with regards to parenting and raising our kid/s. I am also excited with mommy events that might probably organized by Drypers Club. Other than meeting other moms online, it is more than exciting meeting them personally, right? Valid entry! :) I think we met na at the Parentin.TV event, am I right? i love mommy websites.. i've joined the club. hi sis. my username is momychristine.thank you. 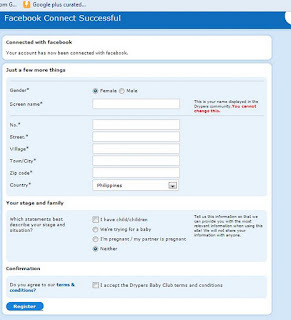 My entry is not yet valid..had difficulties in opening my profile at Drypers bb club..
receive free samples of diapers and Gcs. Valid entry :) But please check your FB share, there was no link to this blog post. I haven't seen your Drypers Baby Club profile yet but I'll try again. What are you most excited about the new Drypers Baby Club website? I am excited about getting to meet other mommies and their kids, learning from their own experiences and sharing some of mine as well. I am excited about the new products. Thanks Ms.Maureen, I thought my entry can't be validated..I always have a hard time in opening my profile at Drypers baby club..I don't know my problem might be the internet connection or signal.. I's so proud and be a member of your Drypers Baby Club..Im more excited to share and learn more experience from Mommies and Kids.I'm Excited also for your upcoming Promos,Freebies,Prizes,Activities and Events. Noted, but I haven't validated yet. I'll keep you updated. Your entry is valid. However, your tweets are protected and I can't verify your tweet. Drypers Baby Club website is just a one-click away to know more things about being a well and responsible parent. I am a fan and excited to read stories and experiences of different moms on how they cope with their everyday challenges w/ their babies/children. In this site, you will meet new friends, share your experiences and especially you will know the do's and dont's of parenting. Also, what makes this site excited to everyone are their never ending promos and activities to all parents. And of course the products (diapers) are so good and "comfi" to all babies/children. This site is really great. was my entry valid ms. maui? Kindly advise. Thanks a lot. I am excited because at last drypers has now a website which has a parenting forum that every mommies are welcome to join and discuss their parenting concerns. Is my entry valid now Ms. Mauie? I already sent you a friend request please do accept and already signed in your guestbook. Please advise. Thanks! Valid entry. Sorry if I haven't replied ASAP. Been busy lately, my boy has mumps. stories about mothering child. i don't have a baby yet but my my fave niece and my 2 nephews grew up with me cause their mothers are too busy. so i end up caring for them. at first, i feel like i'm stuck but i realized it was fun to be with kids... my new niece is size small. I'm so thankful because Drypers just opened a site with a forum where parents can share and discuss their insites on raising their kids. I find these forums very handy most especially for a first-time mom like me; I just browse the site to find answers to my questions with regards to raising my baby. Plus, I also get to form a special bond with the other monmies as well! I am excited bout the new site because its very helpful for the new mom and moms to be by sharing and just reading the post that other members shared, it helps them along the way. For me just getting a new friends and sharing my experiences is the best part I like. The site also has a unique forum and the color and fun/nice to look at, very refreshing. They are those who have done the mandatory steps of JOINING and ADDING me as a friend at the Drypers Baby Club website and ANSWERED the question I posted here.Kindly reply to this post if your name is not here and you think you have done the required steps so I can recheck the list. Thanks! Ah, yeah. Sorry for that. Your name isn't on the Rafflecopter list, that's why. You might have failed to click the I'VE DONE THIS buttons. yipee......... I'm in! I got a valid entry. yah! met you there mommy mauie :) hope to see you again at the PMC event!